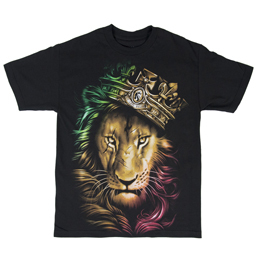 This black tank t-shirt features the airbrush-style image of a Rasta colored, battled scarred lion wearing a an OGABEL crown. The garment is 100% cotton, preshrunk, features a double needle bottom hem and sleeves, and shoulder to shoulder tape. Are you a Kush King? 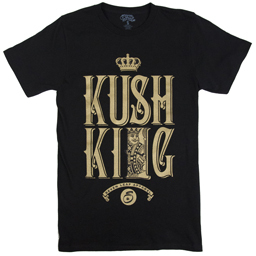 This Seven Leaf Apparel original design features KUSH KING in bold type with metallic gold ink on a men's black tee. Inside the "N" is an illustration of the classic playing-card King holding a bong rather than his traditional sword. Spread some positivity with this tri-blend, black, long sleeve, scoop shirt. 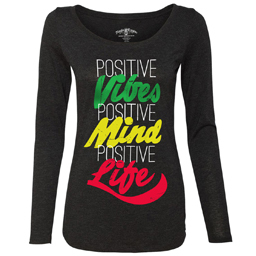 It features a bold RastaEmpire Original design of “Positive Vibes, Positive Mind, Positive Life.” The word “positive” is rendered in white, while the other words are inked in green, yellow, and red Rasta colors. 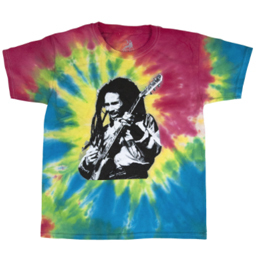 This 100% cotton t-shirt is tie dyed in a red, yellow, green and blue swirled design with a halftone black and white printed photo of Bob Marley playing guitar. 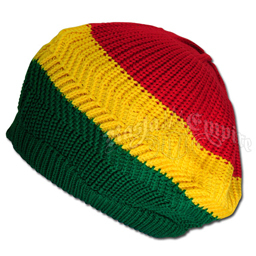 This tam has wide bands of red, yellow and green. 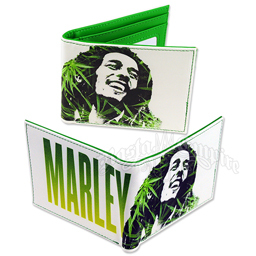 This white wallet features an image of Bob with marijuana leaves designed throughout his dreads on the front. The back has "Marley" printed in a green to yellow fade lettering. The inside of the wallet is green and has one large compartment for bills, 4 smaller compartments for cards, plus an ID holder compartment, and Bob's signature is in white. 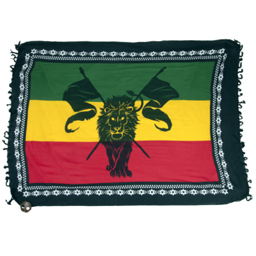 This beautiful tapestry features green, yellow, and red Rasta colors. 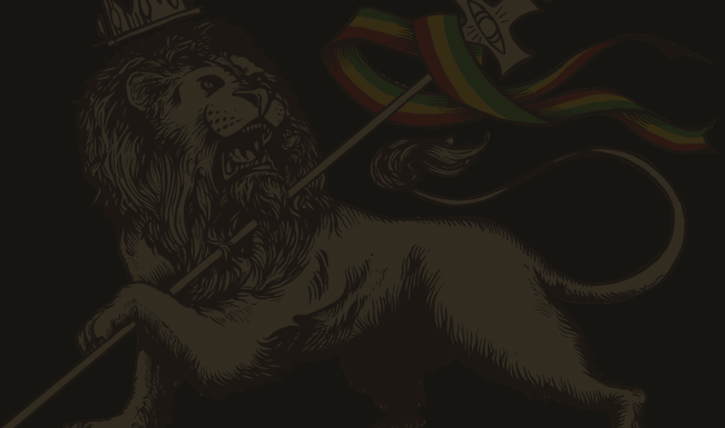 The main design is a bold, black image of a lion and 2 flags, with a black and white design around the border. 60 x 90. 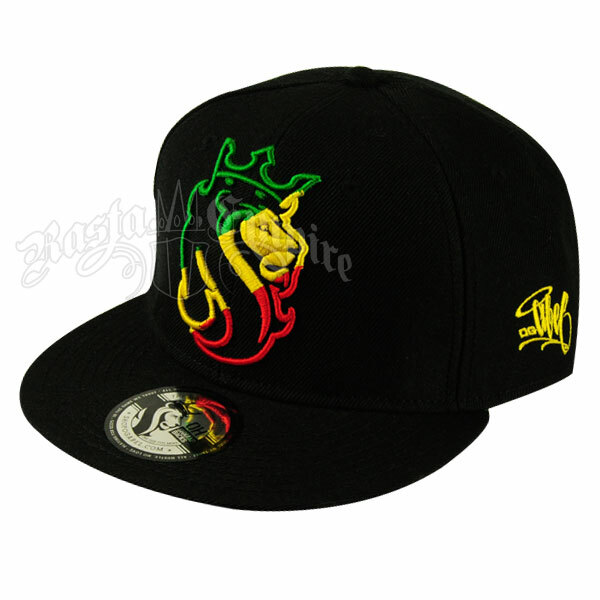 This black hat features a rasta striped embroidered Lion of Judah on the front. Embroidered on the back of the cap are the words All Hustle in green. There is a snap adjustable closure on the back. One size fits most.